This book reveals the mother of all conspiracies. It sets forth biblical proof and irrefutable evidence that will cause the scales to fall from your eyes and reveal that the world you thought existed is a myth. The most universally accepted scientific belief today is that the earth is a globe, spinning on its axis at a speed of approximately 1,000 miles per hour at the equator, while at the same time it is orbiting the sun at approximately 67,000 miles per hour. All of this is happening as the sun, in turn, is supposed to be hurtling though the Milky Way galaxy at approximately 500,000 miles per hour. The Milky Way galaxy itself, is alleged to be racing through space at a speed ranging from 300,000 to 1,340,000 miles per hour. What most people are not told is that the purported spinning, orbiting, and speeding through space has never been proven. In fact, every scientific experiment that has ever been performed to determine the motion of the earth has proven that the earth is stationary. Yet, textbooks ignore the scientific proof that contradicts the myth of a spinning and orbiting globe. 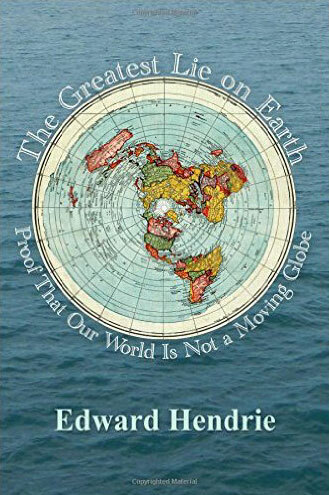 Christian schools have been hoodwinked into teaching heliocentrism, despite the clear teaching in the bible that the earth is not a sphere and does not move. This book reveals the evil forces behind the heliocentric deception, and why scientists and the Christian churches have gone along with it.